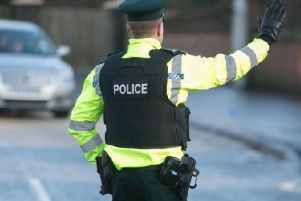 Police have issued a second appeal for witnesses after a particularly ‘vicious assault’ in Lurgan. The incident happened in Union Street on New Year’s Even into New Years Day. Police have made an arrest and carried out interviews as well as an extensive CCTV trawl. And they have spotted several potential witnesses who were in the area at the time of the assault. A PSNI spokesperson said: “I know it’s a big ask to remember New Years Eve at the best of times, but for a minute think about the fact that the victim is STILL receiving hospital treatment for his injuries. “This wasn’t a ‘typical’ night time brawl, this was a vicious assault which was incredibly close to being a murder investigation. -Around 4 males who helped our victim at around 1:10am on New Years Day near the Fire station. -A group of 4 party goers, 1 of whom was holding a bunch of balloons on Union Street between midnight and 1am. -A man carrying a sports bag on Union Street at the same time. “If anyone has a particularly lengthy dash cam memory and would have coverage of that area, please check it and let us know.